Visit www.ThePointe.ae to apply for The Pointe Preferred Card. Application will be verified within two working days. Applicant will be notified on the application confirmation and location of card collection via email. Applicant is required to present a valid emirates ID at The Pointe customer service desk in order to collect their personalised Preferred Card. 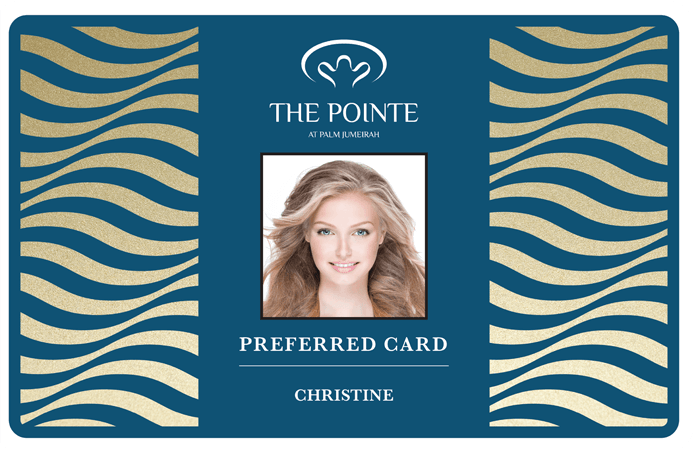 Discount/offer can only be redeemed upon showing the original and valid "The Pointe Preferred Card". Offers are not applicable on the following products: Medicine - Sports Nutrition - Medical Appliances/devices and Milk powder. Offer is valid only on weekdays and if it doesn’t coincide with other offers and promotions. Feel transported to the Amazon Rainforest as you sip on an acai smoothie or tuck into a gluten-free crêpe at AcaiXpress Cafe, taking the Instagram shot to prove it. We are treating the Arabic music fans to a free live performance by Elissa, one of the most recognised artistes in the Arab world on Friday, 5 April. This upcoming event in Dubai will be held at the beachfront plaza, the concert will feature a live DJ at 6.30pm, followed by a mesmerising performance by the award-winning Elissa at 8pm. The renowned singer will perform songs from her latest album ‘Ila Kol Elli Bihebbouni’ including hits like ‘Maktooba Leek’ and ‘Nefsi Aollo’. Elissa is the first Lebanese singer to receive the prestigious World Music Award as the Best Selling Middle Eastern Artist, selling over 30 million albums worldwide making her one of the region’s most successful artistes. The Elissa’s concert is a major feature of our 2019 line-up of live events and family entertainment in Dubai. The destination opened in December 2018 with a concert by international music superstar Enrique Iglesias, and recently hosted a performance by iconic Lebanese singer Wael Kfoury. While parking is available; concert-goers are advised to use taxi services. Thank you for your message. Our team will get back to you shortly. Please check your email to know about the status of your request.